Lenovo is launching the Lenovo 3000 line, beginning with the J Series desktops and C series notebook PCs. Lenovo 3000 desktop and notebook PCs are for small businesses that want to focus on running their business, not their computers. 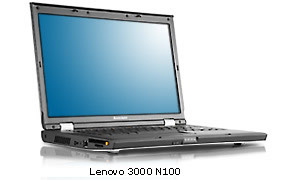 And the Lenovo 3000 line offers PCs that are not only a great value, they're stylish as well. 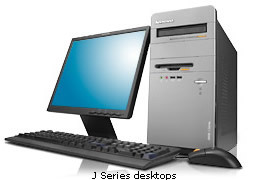 Lenovo 3000 J Series desktops are available in the tower form factor. J Series desktops are equipped with IntelÂ® or AMD processors. Get exceptional levels of power, performance and reliability for all home and business computing needs. For notebook users, the Lenovo 3000 C100 notebooks offer stylish design and essential software tools for your small business. C100 notebooks are equipped with Intel PentiumÂ® M or CeleronÂ® M processors. In late March, Lenovo 3000 brand will deliver the N100, a stylish widescreen notebook combining popular features at an attractive price. The N100 will be available in 14.1-inch- and 15.4-inch- wide models. All Lenovo 3000 PCs include Lenovo CareSM, a software application that helps your computer recover from viruses at the touch of a button, update itself and enable it to easily connect to wireless networks.